Can I Checkmate With These Chess Pieces? For beginners, it can often be difficult to checkmate an opponent's king even with overwhelming force and the odds in your favor. Conversely, new players often continue playing long after a game should have already been drawn due to the insufficient mating material rule. That rule states that a game is drawn as soon as there is no way to end the game in a checkmate. Here's a quick guide to what combinations of chess pieces you can (and cannot) use to checkmate an enemy king when you are down to just two or three of your pieces versus a lone king. Or, you may be the one with the lone king and this will let you know that a draw should be declared. King and queen versus king: The stronger side should be able to checkmate easily. King and rook versus king: The stronger side can checkmate, and while it may take more moves than with a queen, the technique is still quite simple. King and bishop versus king: The stronger side cannot checkmate. King and knight versus king: The stronger side cannot checkmate. King and pawn versus king: The stronger side may be able to checkmate, depending on the position. The goal here is to promote the pawn into a queen, after which checkmating is fairly simple. King and two bishops versus king: The stronger side can checkmate, though the method for doing so is somewhat more complex than with a rook or queen. King and two knights versus king: The stronger side cannot force a checkmate, although it is possible with the cooperation of the enemy king. King, bishop, and knight versus king: The stronger side can checkmate. However, the technique is rather difficult, and even many strong players have failed to properly convert this endgame, especially in time pressure. King versus king: This endgame is always a draw, despite the heroic efforts of beginners and scholastic players who have danced their kings around the board for dozens of moves. Of course, many checkmates take place with much more material on the board than these situations. The best use of this information is twofold. First, it can stop you from continuing on in hopeless situations: if you are down to a king and bishop versus an enemy king, for instance, it is time to start a new game. Secondly, it helps to know what endgames you can head towards that will be winning when you have a material advantage. If you have a bishop and two pawns versus a bishop, it is fine to trade those bishops if you'll later be able to promote a pawn and win that way. 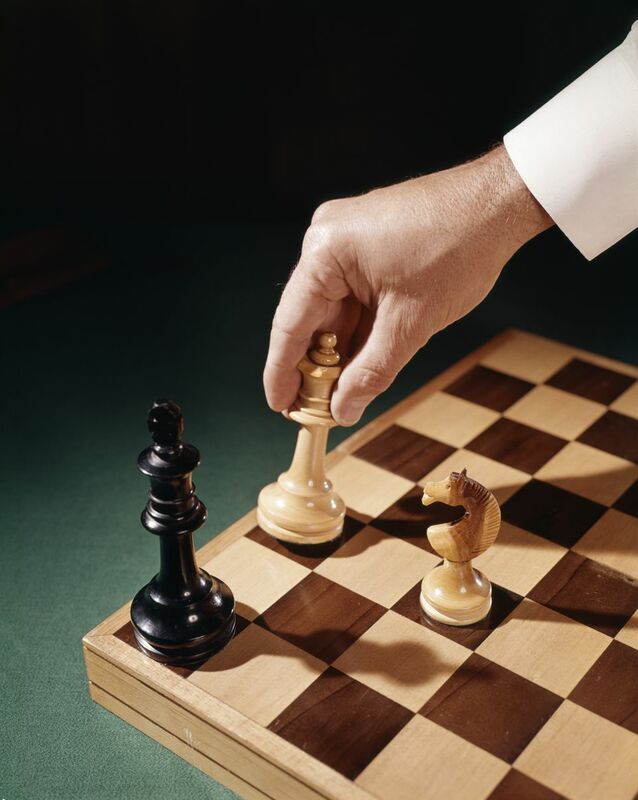 However, allowing the other player to trade their bishop for your two pawns will lead to a draw.